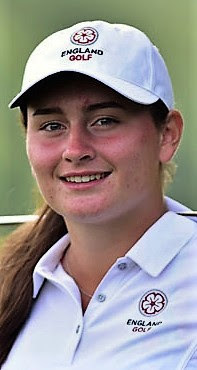 CORAL GABLES, Florida – Sophia Bae figured her lead would be rather short-lived as she left the Biltmore Golf Course after handing in the first scorecard of the 54th Junior Orange Bowl International. Jerry Ji had no such worries – he moved to the top of the boys’ division with a 7-under-par 64. “It wasn’t really necessary to push for extra birdies for a solid first round,” said the Dutch golfer, whose closing birdie at the Biltmore’s par-5 18th hole left him one stroke clear of Italy’s Andrea Romano and France’s Pierre Pineau. Bae wound up as part of a four-way logjam atop the girls’ leaderboard, finding her opening 69 matched by a trio of rivals but bettered by none. English women's amateur champion Lily May Humphreys(15), pictured right, – playing just her second event on U.S. soil – joined the pack along with Norway’s Franziska Sliper and Sweden’s Linn Grant, winner of the Helen Holm Trophy tournament at Troon this year and whose Inverness-born grandfather won the Scottish boys championship in 1958. Linn Grant is pictured below on left. “I thought someone would definitely shoot 3 or 4-under,” said Bae, who earned her entry via qualifying for a second straight December. She didn’t realise she still had a share of the lead until an afternoon voicemail from a tournament official. Four other girls were within two shots of the top spot, with four more three shots back. In all, 32 competitors shot par or better at the venerable Biltmore lay-out, as competitors were greeted by bright sunshine and temperatures that reached the mid-80s. Even though breezes freshened at midday, players were largely up to the challenge. The Junior Orange Bowl International has been a proving ground for some two dozen champions who later made it to the US PGA Tour, European Tour or LPGA circuit. It’s a list that includes Tiger Woods and LPGA Hall of Famer Inbee Park, as well as such names as Camilo Villegas, Cristie Kerr and Lexi Thompson. This year’s field brings together entrants from such far-ranging origins as Argentina, Zimbabwe, Venezuela, China, Portugal, Malaysia, Switzerland, Nigeria, Norway, Croatia and Qatar. Ji quickly put himself in contention with three birdies in his first four holes – a performance exceeded by an even faster finish. He birdied four of his last five, tarnished only by a three-putt bogey at the difficult par-4 17th. “I missed some short putts on a few holes, but I played really solid,” said Ji, who tied for eighth in his JOBI debut a year ago. A birdie at the par-3 14th hole began his closing flourish, following with a birdie at No.15 in which he belted his driver some 330 yards to set up a hybrid that reached the green. Another birdie at No.16 moved him in front before briefly giving it back. Romano’s 6-under performance matched his lifetime best, making a 14-foot downhill putt at No.17 for his sixth birdie of the day. A wayward approach at No.18 denied him the chance to go better. Defending champion Karl Vilips, seeking to become the first multiple winner on the boys’ side, found himself seven shots off the pace following a 71. Lily May Humphreys, who finished joint fourth in her American debut in last week's Dixie Women's Amateur, had an up-and-down day in the girls’ draw, marking her card with four birdies, four bogeys and an eagle when she chipped in from just off the No.1 green. Humphreys got to 4-under with six holes to play, but two bogeys in a three-hole span dropped her back into the pack. Bae’s round was at the other end of the spectrum, with three birdies interspersed with a lone bogey at No.5. One of her birdies came at the end of a 60-foot putt from the fringe at No.13. “It was a pretty easygoing day,” said Bae, who recently relocated from her native New Jersey to Orlando, Florida. 65 Andrea Romano (Italy), Pierre Pineau (France). 69 Lily May Humpreys (England), Linn Grant (Sweden), Franziska Sliper (Norway), Sophia Bae (USA). 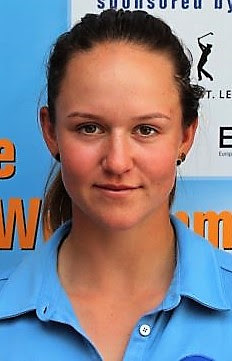 70 Pauline Roussin-Bouchard (France), Rachel Kuehn (USA).